The AGTA Spectrum Awards jewelry design competition, created in 1984, celebrates excellence in jewelry featuring natural colored gemstones and cultured pearls. 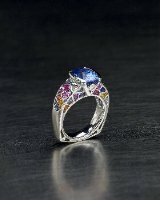 Entries in the annual Spectrum Awards competition are evaluated by a panel of distinguished industry judges on the basis of: overall beauty and wearability, innovative design, effective use of materials, quality of gemstones, quality of workmanship, and broad-based consumer appeal. All North American designers, manufacturers, and gem cutters are eligible to enter. 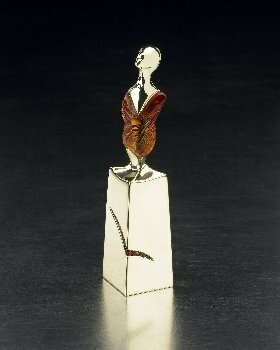 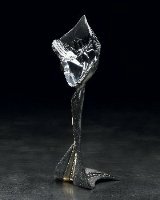 Spectrum Award Categories include: evening wear, business/day wear, casual wear, bridal wear, and men's wear, Platinum Honors are awarded to innovative jewelry designs incorporating a minimum of 75% platinum. 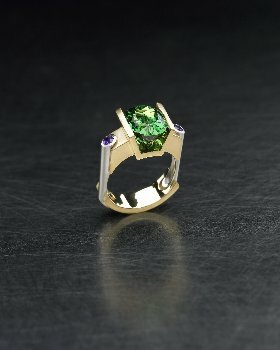 Manufacturing Honors are awarded for outstanding use of colored gemstones and pearls in jewelry appropriate to be manufactured in production quantities. AGTA Cutting Edge Awards honor excellence and creativity in the production of loose, natural colored gemstones and cultured pearls, carvings, other gem materials and objects of art. Philip Zahm & Associates, Inc.
18K white gold ring featuring a 4.13 ct. blue Sapphire surrounded by fancy colored corundum (3.20 ctw) and Diamonds. 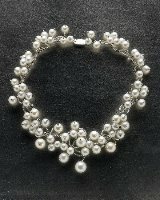 Platinum necklace featuring a variety of 9.5mm to 16.5mm South Sea Cultured Pearls. 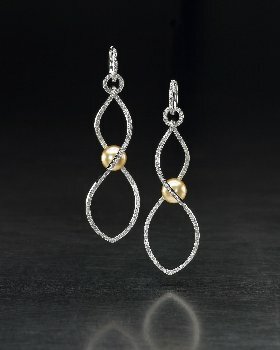 18K white gold spiral earrings featuring two 9.5 mm South Sea Cultured Pearls accented with Diamonds. 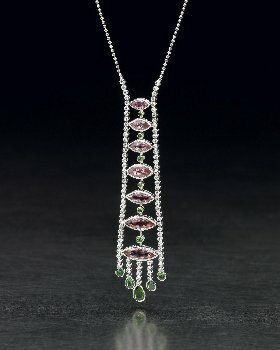 Platinum and 18K yellow gold necklace featuring yellow, pink, green, blue, red and white Diamonds (17.22 ctw). 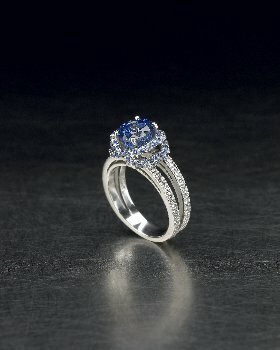 Platinum ring featuring a 2.96 ct. blue Sapphire accented with blue Sapphires (.76 ctw) and Diamonds (.34 ctw). 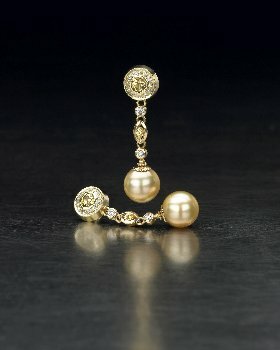 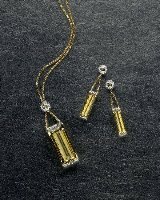 18K yellow & white gold suite. 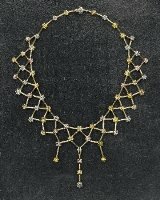 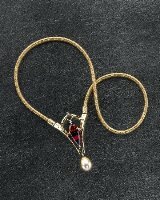 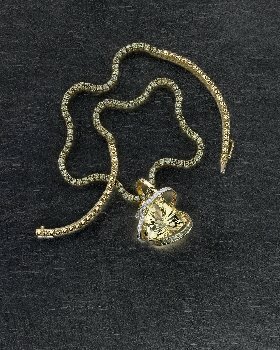 Necklace features a 30.21 ct. golden Beryl accented with a .26 ct. Garnet and Diamonds (.68 ctw). 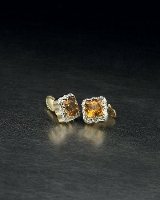 Earrings feature two golden Beryls (9.20 ctw) and two Garnets (.23 ctw) accented with Diamonds (.22 ctw). 18K yellow and 14K white gold "pinwheel" pendant featuring a 7.46 ct. Grossularite accented with a 1.26 ct. Tsavorite Garnet and Diamonds (1.06 ctw). 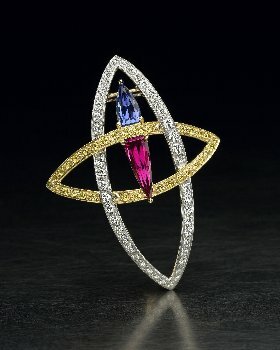 Platinum and 18K gold pin featuring a 2.28 ct. Tanzanite and a 2.75 ct. Rubellite Tourmaline accented with yellow Sapphires and Diamonds. 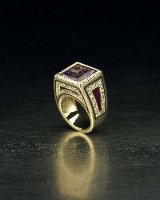 18K yellow gold ring featuring an 11.54 ct. Amethyst accented with inlay and Diamonds (1.60 ctw). 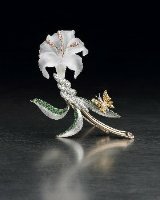 18K rose gold and platinum hand carved rock crystal Quartz flower brooch (60.41 ctw) with Tsavorite garnets, pink Diamonds and white Diamonds. 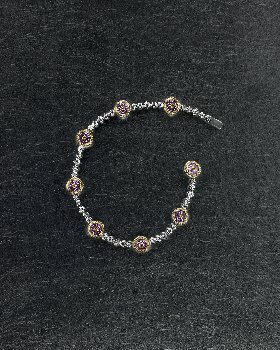 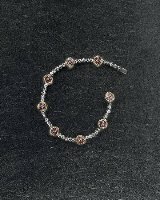 18K white gold bracelet featuring eight torus cut pink Sapphires accented with yellow Diamonds (.66 ctw) and white Diamonds (.83 ctw). 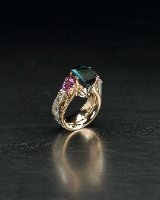 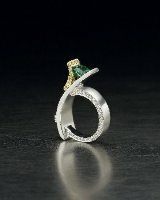 18K yellow gold and platinum ring featuring a 4.71 ct. mint green Tourmaline and two purple Sapphires (.15 ctw). 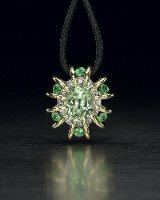 18K yellow gold and platinum pendant featuring a 16.63 ct. Citrine and a .29 ct. Tsavorite Garnet accented with two Diamonds. Lisa Kaye & Company, Inc.
18K rose gold and platinum ring featuring a 5.84 ct. Indicolite Tourmaline and two pink Sapphires (2.08 ctw) accented with yellow and white Diamonds. 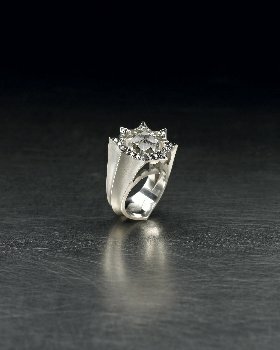 Platinum "bat" ring featuring an 11.52 ct. Quartz with one rutile in the center that forms a web. Accented with diamonds and a bat on each side. 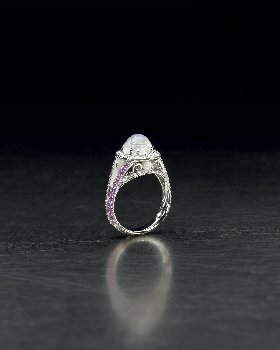 Platinum ring featuring a 2.5 ct. cabochon rainbow Moonstone accented with two small Cultured Pearls, pink Sapphires (1.08 ctw), white Diamonds and yellow Diamonds. 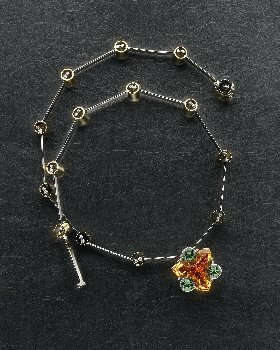 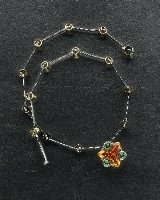 Llyn L. Strelau Jewels by Design Ltd.
"Fall of Angels." 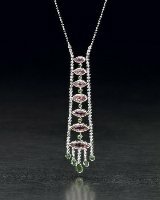 18K yellow & white gold necklace featuring a 6.23 ct. Rubellite Tourmaline, a 4.96 ct. Spessartite Garnet, a 12.66 ct. golden South Sea cultured Pearl accented with six Diamonds. 18K white gold necklace featuring a 76.26 ct. Aquamarine accented with Diamonds (1.39 ctw). 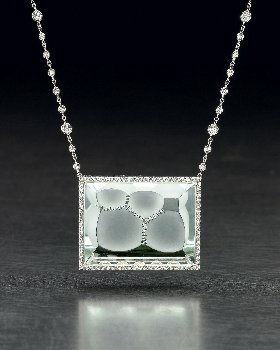 Suspended from a bezel set diamond necklace (1.65 ctw) with a Diamond on the clasp. 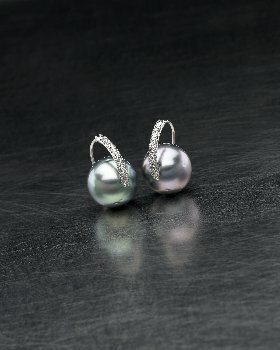 18K white gold earrings featuring two 15mm Tahitian Pearls accented with Diamonds (.54 ctw). 18K yellow gold drop earrings featuring 12mm golden South Sea Pearls accented with yellow Sapphires (1.53 ctw) and Diamonds (.56 ctw). 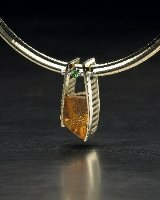 18K yellow gold and platinum hand fabricated necklace featuring a 27.73 ct. Citrine and three Tourmalines (4.53 ctw) accented with Diamonds (.51 ctw). 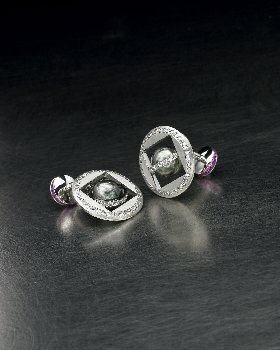 Rotating platinum cufflinks featuring two 11mm black South Sea Pearls and 30 pink Sapphires (1.20 ctw) accented with Diamonds (1.61 ctw). 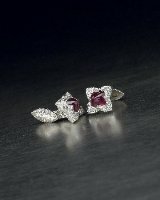 Platinum cufflinks featuring two sugar loafRubies (9.65 ctw) accented with Diamonds (.96 ctw). 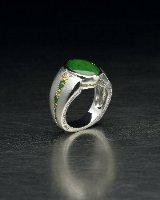 Platinum ring featuring Jade, Tsavorite Garnets and yellow Diamonds. 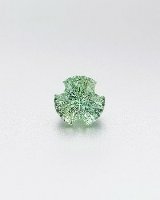 125 ct. spirographic cut mint green Beryl with a concave pavilion and flat faceted crown. 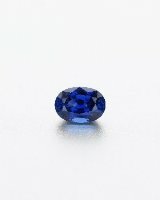 12.36 ct. oval unheated blue Sapphire. 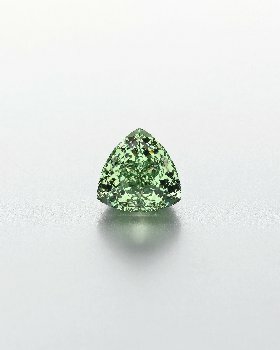 1.24 ct. natural, fancy cut Emerald. 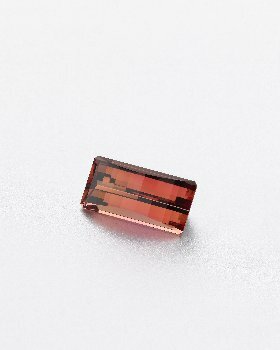 11.22 ct. fancy cushion cut Rhodochrosite. 6.31 ct. pear shaped Paraiba Tourmaline. 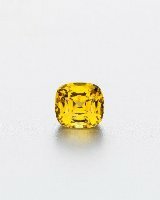 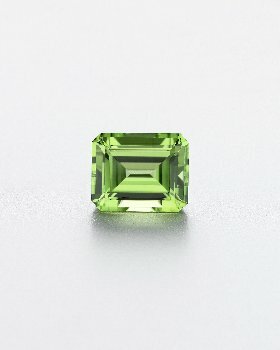 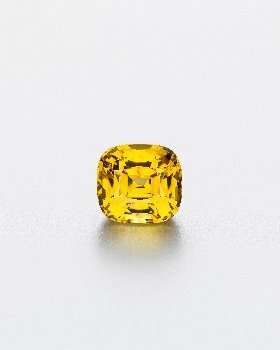 17.73 ct. octagon shaped Peridot. 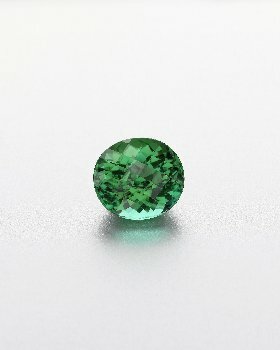 14.47 ct. rose cut, oval green Tourmaline. 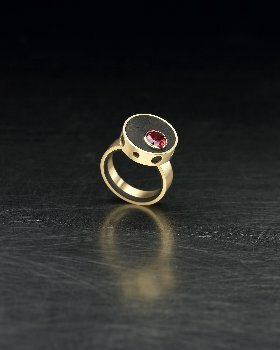 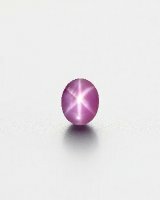 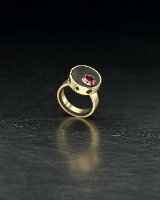 16.21 ct. oval star Ruby. 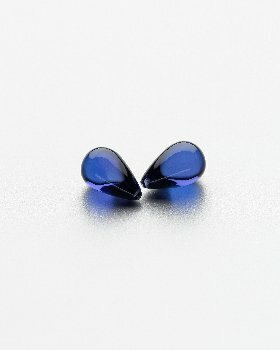 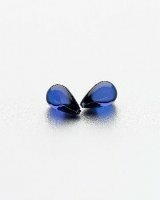 Pair of round Tanzanite drops, 30.37 ctw. 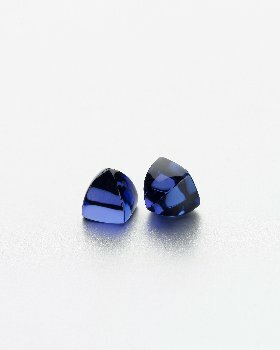 Pair of sugar loaf, cushion cut Tanzanites, 33.03 ctw. 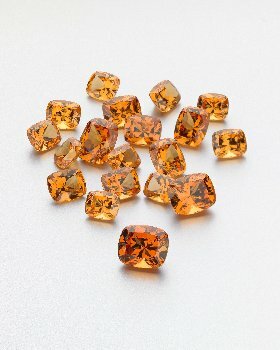 Suite of 19 graduated brilliant, cushion cut Spessartite Garnets, 76.76 ctw. Pair of cushion cut pink Tourmalines, 10.22 ct. and 10.04 ct..
20.61 ct. opposed bar cut Imperial Topaz. 15.88 ct. sparkler cut Tsavorite Garnet. 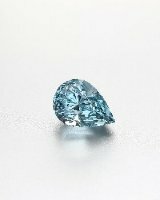 26.21 ct. multifaceted, pear shaped natural Aquamarine. 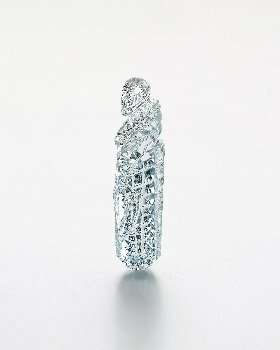 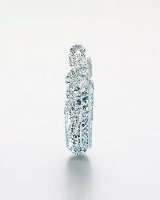 194.19 ct. sculpted and faceted Aquamarine. Combination cut, carved and faceted with waffle cut and natural crystal faces. 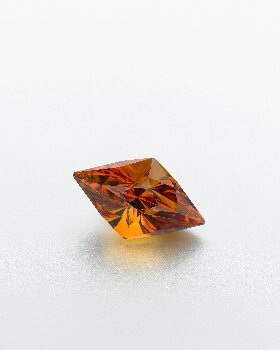 84.90 ct. freeform Oregon Sunstone with copper inclusions. 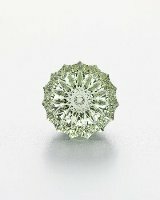 125.0 ct. spirographic cut mint green Beryl with a concave pavilion and flat faceted crown. 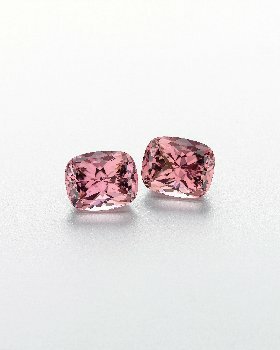 "Pink Lady." 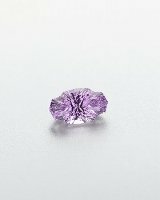 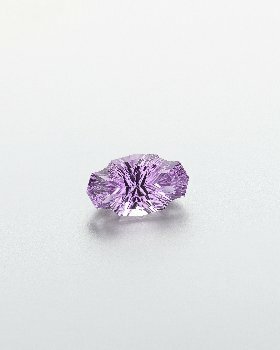 35.56 ct. concave, flat-faceted freeform kunzite. 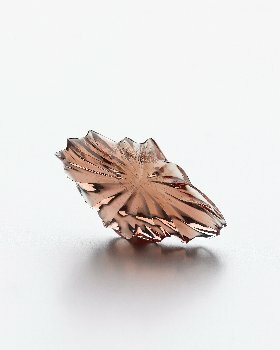 "Atom." 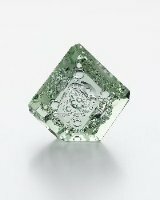 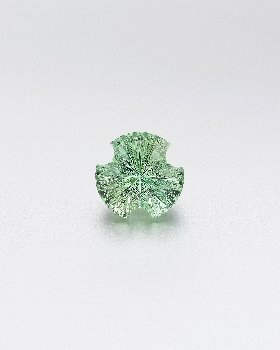 281.20 ct. Beryl. 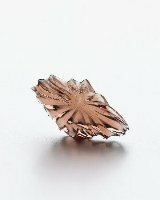 Hand fashioned faceting and carving. 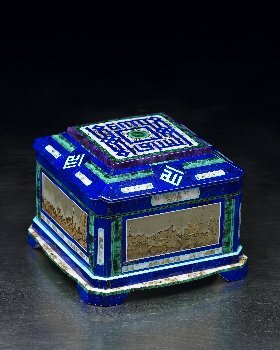 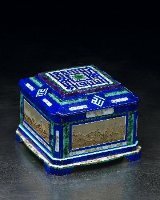 18K gold intarsia box featuring Lapis, Jasper, Malachite, Turquoise, Sugilite and exotic woods. 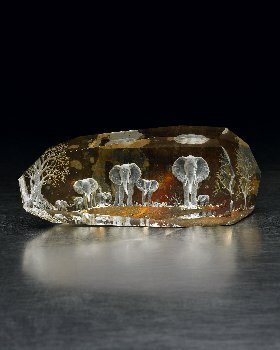 Quartz featuring an elephant motif. 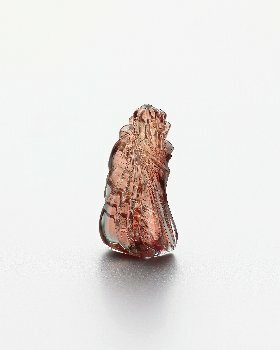 "Insight." 3.75 pound carved quartz on a bronze base.